Editor’s Note: This post was originally published on Sept 12th, 2013. Shortly thereafter, the film was removed from the internet by the filmmakers, and has only now been recently reposted. Thanks to the deep pockets of YouTube, a large selection of short films from the Toronto International Film Festival are now online for the next couple of weeks. The shorts program at TIFF is not of the same reputation as the festival itself due to the fact that it is restricted only to Canadian shorts, but, considering the quality of artist assistance outfits like the NFB, and the NSI, Canada has nurtured one of the world’s most vibrant national short films scenes, so over 3 hours of the best the country has to offer is good news. We’re undecided as of yet whether to review the whole program, but there is a standout piece that has already garnered much attention. Noah, by two first-time filmmakers out of Ryerson College, is powerful commentary of contemporary technology and its role in relationships. 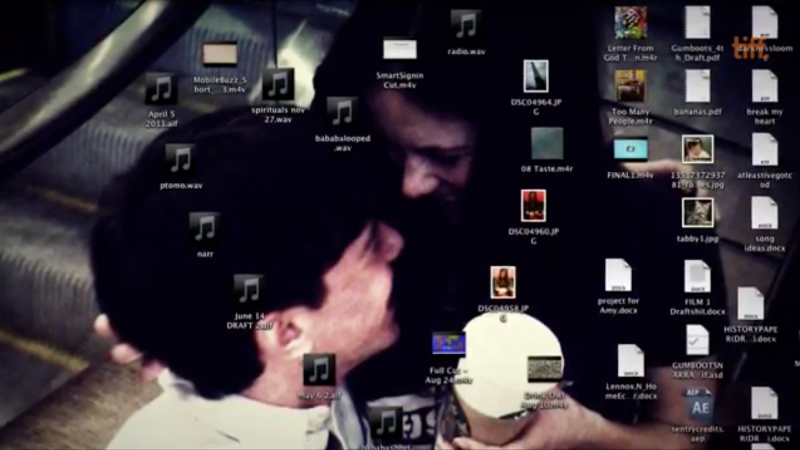 Depicted entirely through a computer screen, Noah casually multitasks while talking to his girlfriend, Amy. High Schoolers prepping for parting when they move to different cities the next year, Noah confuses Amy’s attempts at serious discussion with a desire to break up, thus sending him through a digital spiral of grief and revenge. I’m sure it is the gimmick of the computer screen which is fueling a lot of the press attention for the short—it has been featured now in Gawker, and by several digital newspapers—yet, while executed very well, it is not a wholly novel approach. The Digital Story of Nativity comes to mind, and that was in itself influenced by the famous Google search commercial Parisian Love. More recently we saw fun travels in branded content from Intel and Smith and Foulkes with The Chase. What is stupendous about Noah is the way that it tells its timeless story of suspicion and heartache in a way that is only possible through through the filter of its technological approach. Betrayal takes the form of logging in to your loved ones Facebook. Getting over things means seeking out a stranger…on Chatroulette. It’s familiar, but different, and a recogntion that our interactions follow the same patterns even as the are mediated differently. But there is the specter that those interactions are qualitatively inferior, the way Noah is doing 4 things at once when Skyping with Amy, or the way that his Chatroulette connection is dumped so easily, so unceremoniously.